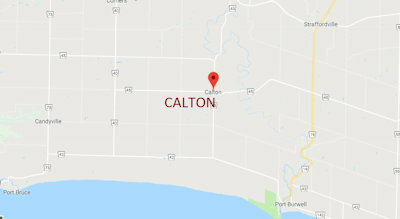 Calton Ontario real estate is located in Elgin County in Malahide Township in southwest Ontario Canada. Calton is northwest of Port Burwell. Much of the Calton Ontario real estate features generous, quarter acre and larger lots. This is a rural area that has many expansive farms but continues to grow as a popular place to live even for those working in non-agricultural related industries. Calton Ontario is southeast of London Ontario and is less than an hour commute to the heart of the city. Homes for sale in Calton Ontario range from older rural farmhouses to suburban-style multi-level houses and on to modern, large executive-style homes on large private lots. Builders and developers have taken advantage of the beautiful surroundings in constructing homes for sale in Calton Ontario that appeal to young and growing families. Houses for sale Calton Ontario start at about $250,000 but you will also find $1 million-plus homes for those who have achieved a certain level of success in their lives. Get in touch with Team Forster today to learn more about the Calton Ontario real estate market and to request a showing now! Give us a call at 519-851-2844 to speak to a Calton real estate agent today.